Phoenix RAC Information | Arizona Healthcare Audit Lawyers Wachler & Associates, P.C. Contact Arizona Medicare Lawyers Wachler & Associates, P.C. Providing quality health care services has become increasingly more difficult. The Centers for Medicare and Medicaid Services (CMS) has been implementing the Recovery Audit Contractor (RAC) program for the last several years in an attempt to reduce costs associated with overpayments to providers. RACs are private entities that audit health care providers based on a variety of different metrics. These RACs are now operational in every state for Medicare Part A and B and have been expanded to include Parts C and D since January 1, 2011 by way of the Patient Protection and Affordable Care Act (PPACA). At the law firm of Wachler & Associates, P.C., we counsel health care providers in Phoenix, AZ and across the nation on a wide variety of legal issues, including RAC and Medicare audit processes. If you are currently being audited or are seeking an aggressive and experienced law firm to appeal an adverse audit, contact us today. Although the RACs are also tasked with identifying underpayments, the majority of RAC audits in the demonstration project were targeted at overpayments made to providers. This practice will likely continue to be the norm in the permanent program. Providers should also be prepared for Zone Program Integrity Contractor (ZPIC) audits. ZPICs are CMS contractors that look for overpayments and potential fraud. For these audits, each state has been assigned to a different contractor. Arizona is located in Zone 2 for ZPIC audits, with AdvanceMed as its contractor. The RAC audit program has been active in Arizona since 2005 and is being conducted by Health Data Insights Inc. which is a private entity. Providers need to be proactive in their response in the event they are audited. Our attorneys can provide counsel to a provider no matter what stage of the process they are in, be it responding to an initial request for medical records or preparing a position paper to submit to an Administrative Law Judge. RACs are private entities whose fees are based on a percentage of the amount of money that they recover from providers who allegedly overbill Medicare. RACs are also paid a percentage of underpayments they identify, but so far overpayments have represented the vast majority of audits. 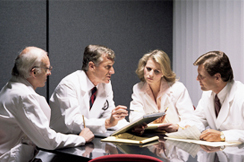 Our lawyers have extensive experience in defending Medicare claim denials including denials resulting from RAC audits. Whether a provider is the subject of a current RAC audit or appeal, wants to be prepared to deal with future audits in a quick and efficient manner, or is interested in implementing a compliance program to help reduce the likelihood of denials by RACs or other auditors in the future, the attorneys at Wachler & Associates can help. For help dealing with a RAC audit, another Medicare audit such as a ZPIC audit or any type of third party payor audit, or for assistance in developing an effective compliance program, contact us at Wachler & Associates, P.C.